The heart is imprinted with snake print. 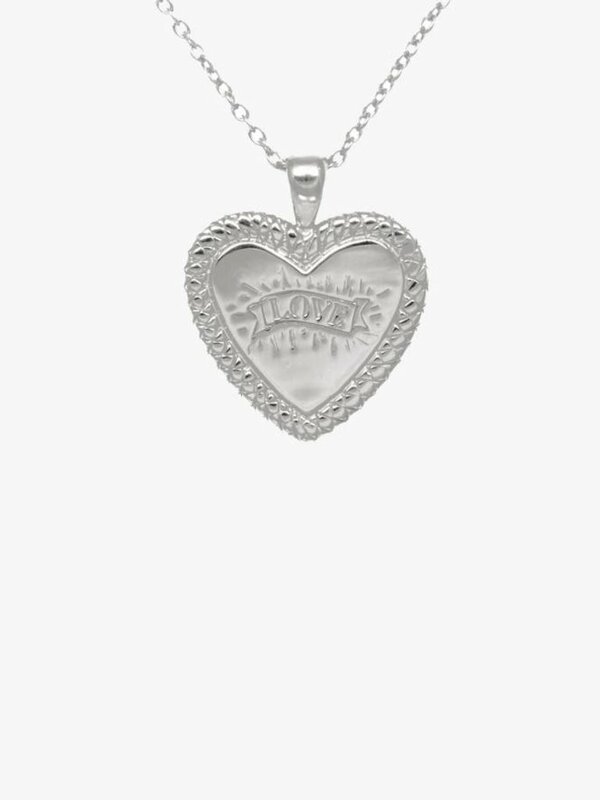 The edges are detailed and ‘love’ is engraved in the center. This necklace is a real eye-catcher and is perfect to style with all other necklaces.